Making an investment into an Iraq fund may not be as outlandish as you think, in fact, it could actually be a seriously good opportunity. The fact of the matter is that Iraq not only offers good opportunities for investments, it is also eager for western investment. Recently, London was the venue for an Invest in Iraq conference, where over 100 Iraqi companies met over 250 UK and worldwide businesses, ministries and investors. The Iraqi Prime Minister was also in attendance at the event, and during this event the prime objective was realised- an agreement was made to establish a better level of financial co-operation between the UK and Iraq. 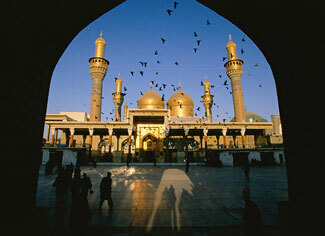 With the Iraq war fading into memory, worldwide businesses are fast realising the investment potential Iraq has to offer. According to reports from the event, hundreds of Iraqi companies were clamouring to attend the conference, and many were left disappointed if they missed out on a place. Worldwide representatives at the conference were plentiful. Salar Ameen, the vice chairman of the Iraqi National Investment Commission, spoke of the world wide interest that is now developing, “I sometimes see more than 10 delegations a day,” he remarked. This is no exaggeration, companies from all over the globe, from America to Turkey to Japan, are all hopping on the Iraqi investment bandwagon The previous wars and regimes are over, and now Iraq is a country that needs money coming in to rebuild its infrastructure and commence a chapter of regeneration. As touched upon, Iraq funds can give an investor some strong opportunities. During the conference 500 investment projects and Iraq funds across a varied number of industries were proposed to the would-be investors, and as it stands there over £10 billion worth investment deals being negotiated. Looking at current deals- the UK has already seen over £600 million put into Iraq. Exports are also growing - last year the UK shipped goods totalling worth of £156 million to the nation. The main sectors that Iraqi investors are intrigued by include telecommunications, transport and housing. However, amongst these it is perhaps housing and property development that is the most attractive. Iraq is in desperate need of more residential housing. Over the next ten years 350,000 residential properties need to be built, and property is an appealing area as once the property is completed and sold, the deal is done and risk is gone. Successful housing projects are also of great worth to the country and subsequently, other investment sectors. Many sectors in Iraq are hindered by the previous years of political unrest and international conflicts. Property development will enhance the standing of other industries simply because of the work that will have to be done, local labour will be used, as will factories for the necessary materials. Another reason why Iraq desperately needs investment is down to the simple fact that it cannot afford the work by itself. It is estimated that the country needs £400 billion in foreign funds to do the basic work its citizens require. Without the western world making Iraqi investment the country may never be able to prosper and finally eschew the torrid legacy of Saddam Hussein. When talking about Iraqi investment you must always remember oil. Iraq's oil industry is another area where help is needed, yet Iraq also happens to be holder of the world's third largest oil reserve. In fact, experts suggest that Iraq could soon actually leapfrog Saudi Arabia and become the world's number one oil provider. At the moment Iraq produces around 2.7m barrels per day, but by 2010 the Iraq government hopes that figure will have leapt up to 12m barrels per day. Away from Britain and the west, Iraq gets by on investments mainly made from the neighbouring Middle East areas. However, now is the time for brave investors from the west to step in. Yes there is risk, yes there are costs, however getting into an Iraq fund now could put you a step ahead of the pack at a vital time of growth. If you count yourself as a brave investor and you are interested in leaping ahead and taking a risk that could reap good rewards, speak to a recommended foreign investment specialist and learn more about how you can invest in Iraq.